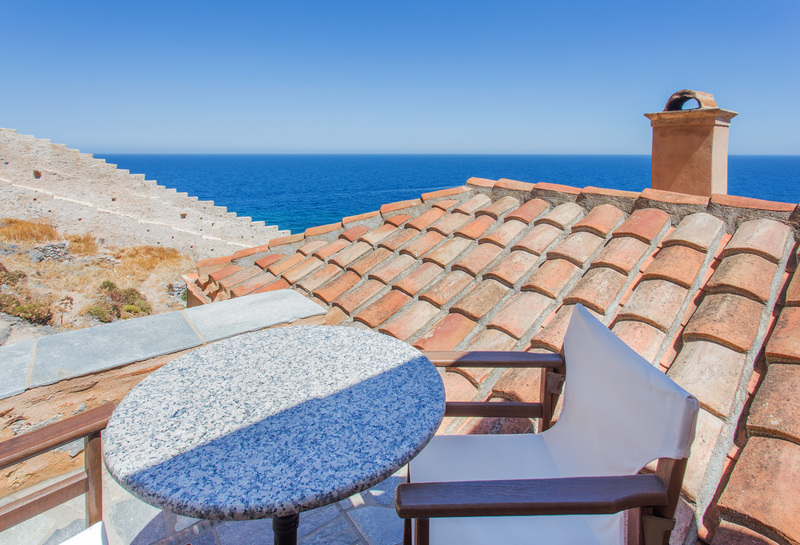 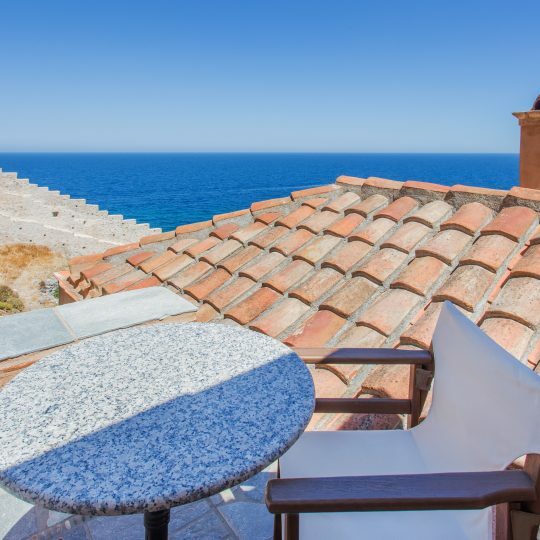 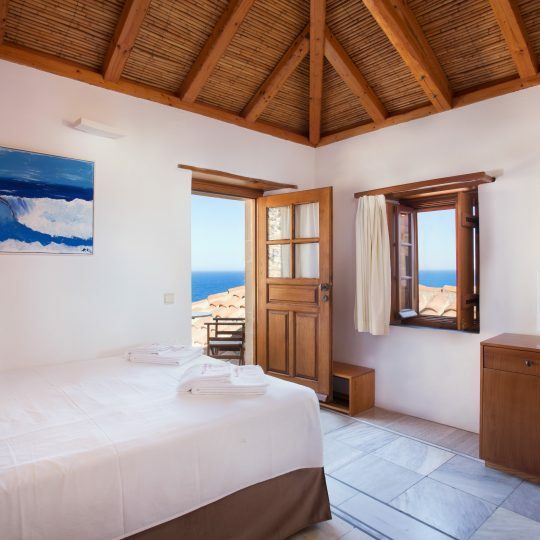 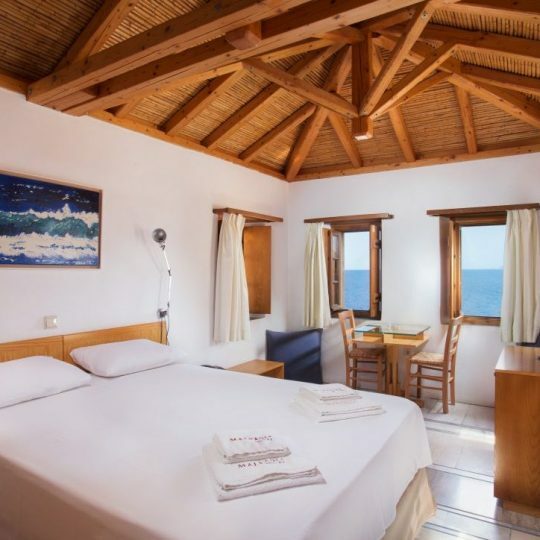 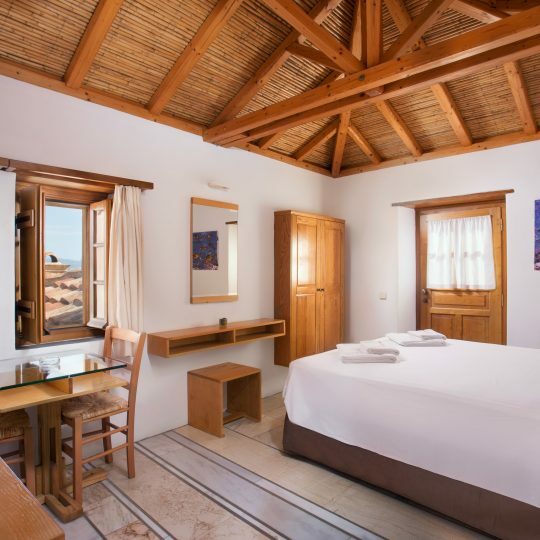 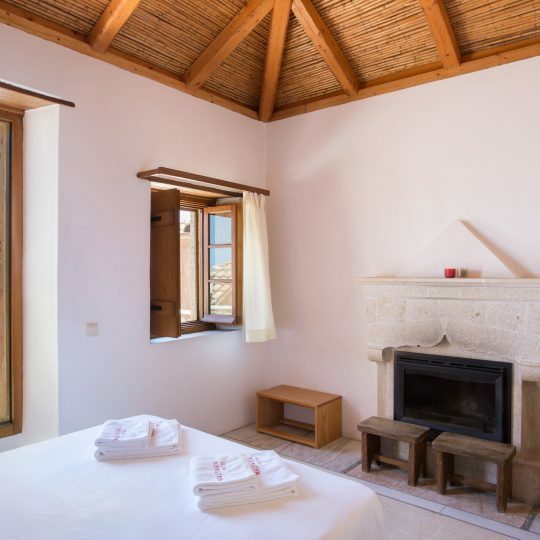 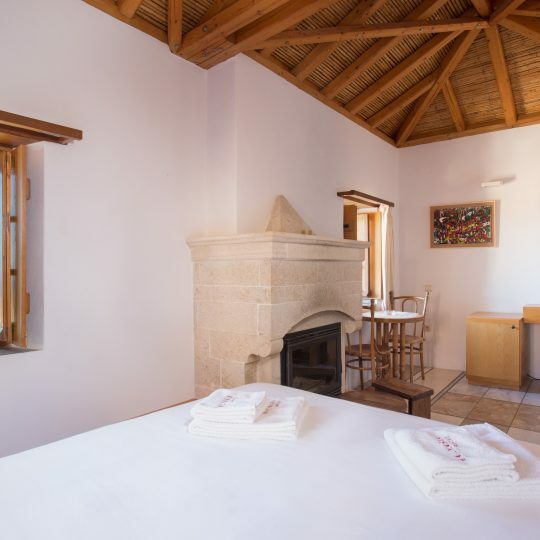 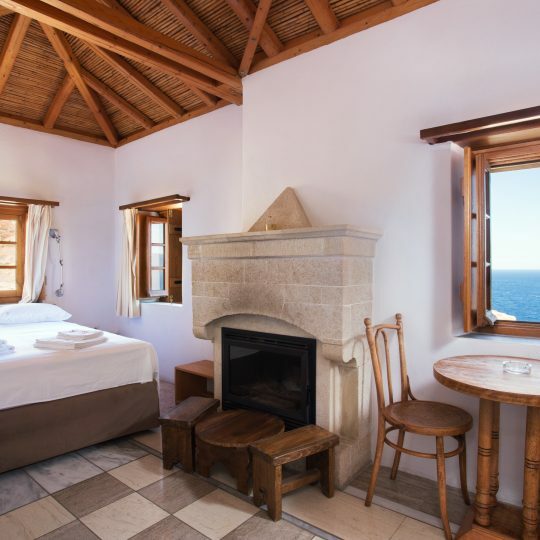 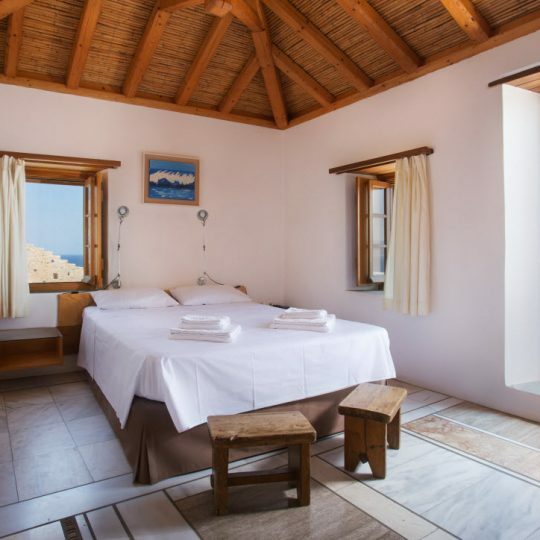 Looking out on to the Aegean Sea from its window, this spacious room is fitted with a wood beamed ceiling. 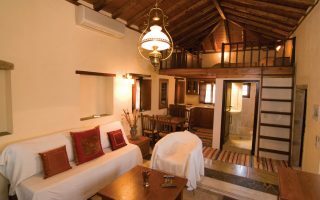 It is air conditioned and includes a flat-screen TV and mini fridge. 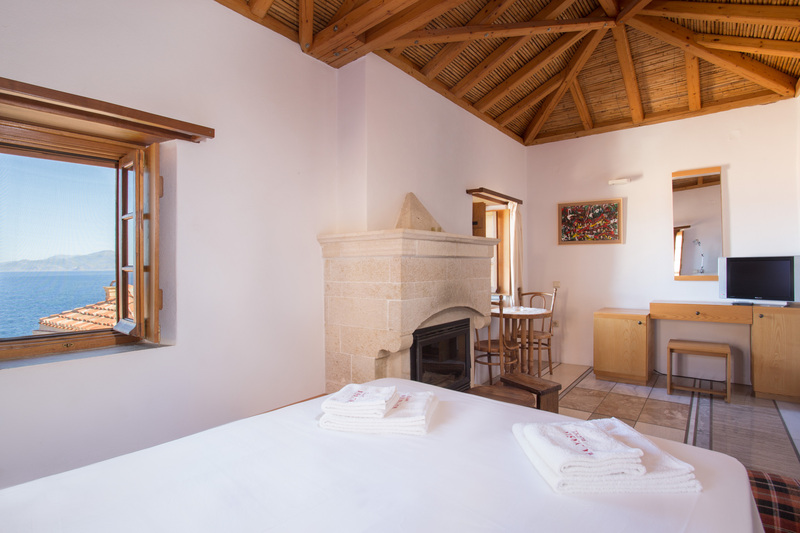 The bathroom is stocked with a hairdryer.